The marching band placed 1st in their division and 8th overall at finals on Saturday, Oct. 15. Everyone felt a sense of accomplishment and excitement the day of competition. The show was the best performance yet. 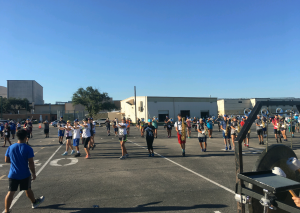 Although the band presented the audience with a great show there is still room for improvements and practice. According to band members, the most important thing to remember is that when everyone puts in the effort and has initiative then everything will be a lot more proficient.